Consumers are increasingly demanding seamless and invisible digital experiences and banks need to adjust how they operate financial services accordingly. Westpac’s chief development officer Macgregor Duncan told Investor Daily that the bank was investing in invisible finance as that was what consumers wanted. “Financial services are increasingly being embedded into sort of digital experiences separate from the financial services itself. And we see that development of invisible finance right across the financial spectrum,” said Mr Duncan. Mr Duncan said there were obvious examples of apps like Uber, where payment was embedded seamlessly into the app, and that is what customers wanted. “Increasingly customers don’t want to have to go to branch, they don’t want to have to go to the mobile app. They just want banking to happen seamlessly and invisibly,” he said. It was important for banks to remember that customers were not seeking love from their bank, said Mr Duncan, rather they wanted it to just work without thinking about it. “It’s really important to remember that financial services are important to people, but it’s not interesting. “Consumers want to make sure that financial services are being handled efficiently and securely but they don’t want to have to think about it,” he said. However, it was a balancing act, said Mr Duncan, as the bank had to manage the expectations of the young generation who wanted it all online but also an older generation that interacted with the brick-and-mortar branches. “How to solve that tension is to have a suite of options at your disposal to ensure that the bank is covering off both today’s customer and what tomorrow's customers might want. “The future’s not always linear and we can take different paths which is why we partner with people outside the bank; with founders and entrepreneur who are dynamic, focused and sort of rethinking how financial services can work,” he said. 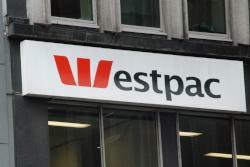 Westpac manages its partnerships and investments in two ways, one being its venture capital fund Reinventure and the other being directly from the Westpac balance sheet. Mr Duncan said that Reinventure was largely focused on early stage tech companies while Westpac’s looked at bigger companies which were usually attached to a strategic partnership. “Across both our venture investments and direct investments, we have 30-plus portfolio companies in Australia that really spend the full spectrum of financial services in the adjacent areas,” he said. Another areas Westpac was looking into was data analytics, said Mr Duncan, which was key to the future of financial services. “Data analytics gives us the ability to enhance the customer experience through personalised services and we think that data analytics is really critical to demonstrating to consumers as a bank, that we are acting in our customers best interest,” he said. The industry was going through change and Mr Duncan said open banking would exacerbate it but for the eventual betterment of the industry. “I think we’ll continue to see very significant evolution around continued financial payments, and digital wallets and I think open banking will really drive that. “Within the Australian context, you’re likely to see a lot of individual assets in sort of niche areas begin to be aggregated together, to provide a more holistic experience for the consumers,” he said.